T’S Déjà vu all over again,” to borrow the famous saying from Yogi Berra. There is a defensible reason why we labeled Windows 7 just “Vista 7″ and it’s not just the fact that Vista and Vista 7 are codebase siblings sharing identical DNA in the digital sense. There are many other parallels in the marketing techniques, such as the endless AstroTurfing, public availability of test builds, and bribery of bloggers (the first time it was carried out by Edelman on behalf of Microsoft and this time around it is Waggener-Edstrom). When it comes to Windows Vista, so much was promised and so little was eventually delivered*. But due to heavy marketing, people had not realised this until Vista was released and drove early adopters to misery or disgust. Here is yet another component of Vista 7 being dumped ahead of release. 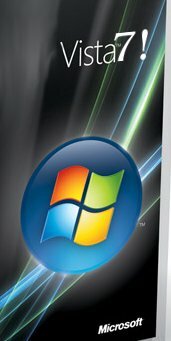 Ultimate Extras was among the elements Microsoft cited in the months leading up to the early-2007 release of Windows Vista Ultimate to distinguish it from lower-priced versions. According to Microsoft’s marketing, Extras was to be “cutting-edge programs, innovative services and unique publications” that would be regularly offered only to users of Vista’s highest-priced edition. But users blasted Microsoft for the paltry number of add-ons it released and its leisurely development pace. Just five months after Vista was launched, critics started to complain, which led Microsoft to promise that it would do better. Over at Chris Pirillo’s Web site (he is a Microsoft MVP), more dissent can be seen in the form of Vista 7 bashing. Well, even some of Microsoft’s fans have already expressed dissatisfaction/disappointments, so this is just another example. None of this would have come about without the regressive behavior of Windows 7, the interface’s thinly veiled rewrap of the Windows 3.1 look and feel, and the lack of real innovation. No, putting the system on a diet does not qualify as innovation. As I have shown before, touch is not a new item on the list of things an operating system can enable either, so Microsoft should stop its harping on that, too. Dear N.W. : Microsoft’s Vista is an errant abomination. Picture a black, foul-smelling and bloated whale carcass washing ashore and thousands of angry, yelling beachgoers trying to pull, push and tow it back to sea. That’s Vista! Frankly, the older Windows 95, Windows 96, Windows 97, Windows 98, etc. operating systems are superior to 2007 Windows Vista by orders of magnitude. * It became a poster child for "freezing the market", with a Longhorn release projected/promised by the end 2003 (Vista was only released in 2007). Hasn’t WinFS been promised as a major selling point for every product / product codename since W95? Down to earth, users of legacy systems are stuck with real poorly designed file systems like VFAT and NTFS. For those people and devices using one or the other on CF storage, there is a real and present threat of data loss. Basically VFAT “wears a hole” in the CF. NTFS doesn’t do much better. Systems with real wearlevelling should be used, but MS is loathe to relinquish the monopoly on storage filesystems for consumer-grade peripherals.